The New MSN Homepage: A New Reason to Love Microsoft? Microsoft is set to give its MSN portal a major upgrade, freshening up the popular destination with a new look and with social networking hooks such as integrated Facebook and Twitter feeds. This is no minor change, but a bold departure from MSN's previous presentation. 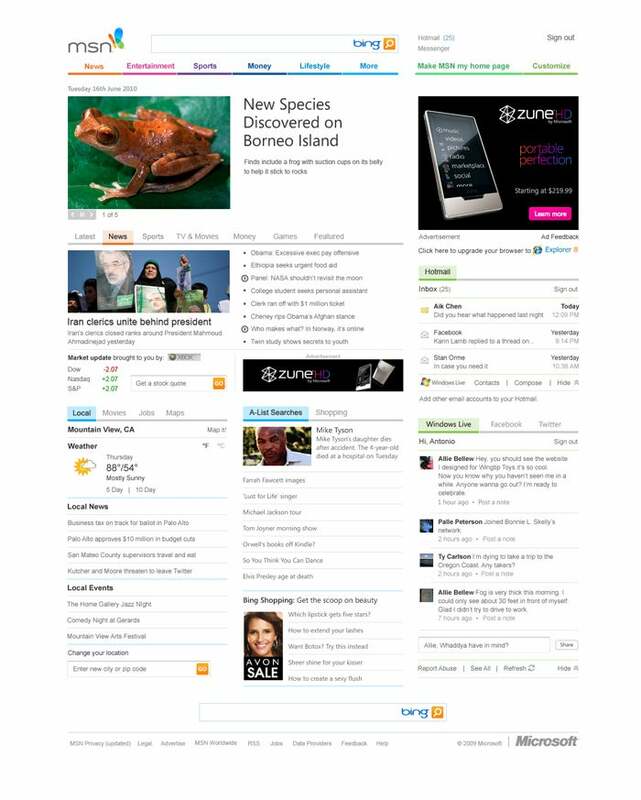 Microsoft says that the main purposes of the update are to declutter the MSN homepage and to refresh its outdated look. I've been playing around with the beta MSN. Here are some highlights. 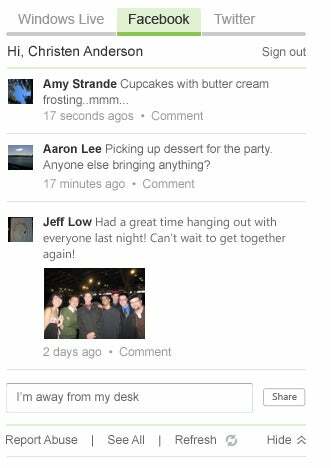 • Social networks Facebook, Twitter, and Microsoft's own Windows Live are integrated into the lower right-hand side of the homepage. The additions are welcome, as they allow people to browse feeds and update status without having to visit Facebook, for example. • MSN is making an effort to offer localized content with Local Editions, which serves up local headlines and links to stories hosted on MSN partner site MSNBC. Local Edition also offers content you'd expect: weather forecasts, event listings, local sport scores, and traffic updates. 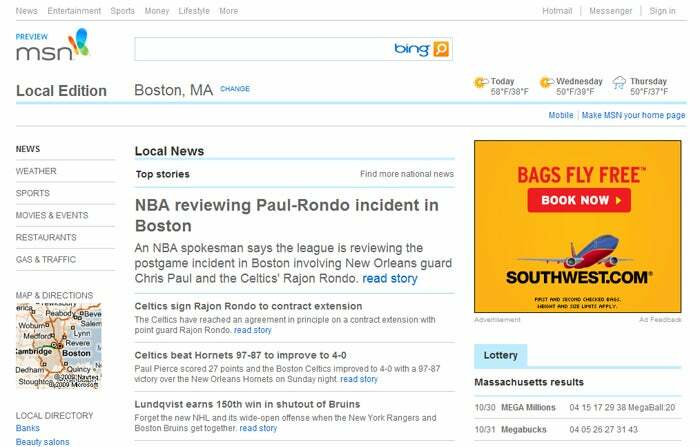 Here is where MSN is leveraging its integration with Microsoft's Bing search engine. Local content, thanks to Bing, gets culled together instantly. Click "Local Restaurants" and Bing assembles a list of suitable places to eat, complete with reviews, directions, and star ratings. • Video is a bigger part of the revamped MSN, with content now featured more prominently on the homepage and on other MSN pages such as Local Edition. MSN says that it will offer video from a deeper catalog of 300 sources, including Hulu, National Geographic, and Fox Entertainment Group. My major beef with the beta MSN site is that its design and navigation clash with the design and navigation offered at other Microsoft-owned sites linked to via MSN. Click a news headline within beta MSN, and the software whisks you off to the MSNBC site, which has a very different Web design and navigation system. The dramatically different look and feel of the various destinations make surfing beta MSN a disjointed experience. Microsoft says that what I experienced will eventually go away. Over time, MSN's featured News, Finance, Entertainment, Sports, and Lifestyle destinations will acquire a common interface. The fact that MSN is revamping its portal just as rival Yahoo is turning up the marketing heat with an "It's You" marketing campaign is probably no coincidence. It's also likely that Microsoft's official debut of the updated MSN site will occur at roughly the same time that Yahoo integrates the Bing search engine into its portal; observers expect both things to happen early next year. The heyday of the big Internet portals was the late 1990s, when America Online, @Home, Excite, and Go.com were all the rage. Today AOL, MSN, and Yahoo are among the handful of survivors that remain extremely popular. According to data provided by MSN, it receives 600 million monthly visitors, making it a top Internet destination.